Minute for minute, treadmills are the ultimate fat burning machine, eliminating up to 900 calories an hour. 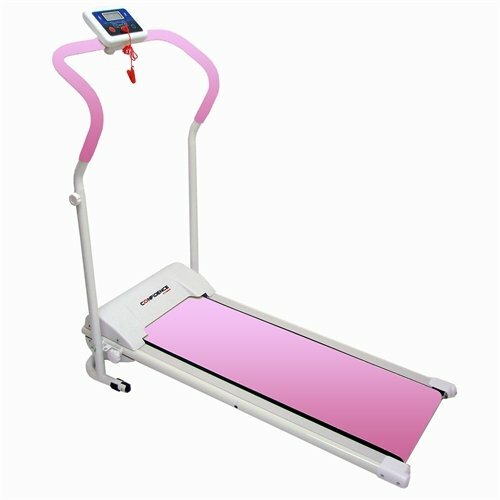 The confidence power plus Treadmill makes them an affordable machine for every household, so you can be burning fat without the hassle of having to go to the gym or bracing the weather. It is ideal for people new to running and those looking to shed a few extra pounds, and with it's folding design and wheels, it is easy to store and roll away. 600W power motor. Runway size: 38.5" x 14". full product size: 49" x 24" x 11". weight of machine: 53 lbs weight & size of delivered package: 50.5" x 25.5" x 11.5" 57 lbs.